Welcome to Day 16 of the 31 Days of iOS. Yesterday, we went over how to connect to some of the built in functionality of iOS: opening websites in Safari, pulling up the email composer, tweeting through Twitter, and more. Today we’re going to cover an important topic: device orientation. Whether you’re developing for an iPhone or an iPad, you need to know how to use the room you have on the screen to the best of your ability. This means knowing how to change things if the orientation goes from portrait to landscape, or how to prevent anything from changing when this occurs. We’ll be starting with a brand new project, but if you’d like to follow along with the completed code, you can access it here. We’ll go over why this is happening soon. Now when you run your app, each time you change the orientation, the text will change. To get a better view into when the method is called and the label is changed, go to the simulator and go to the Debug menu and choose Toggle Slow Animations. 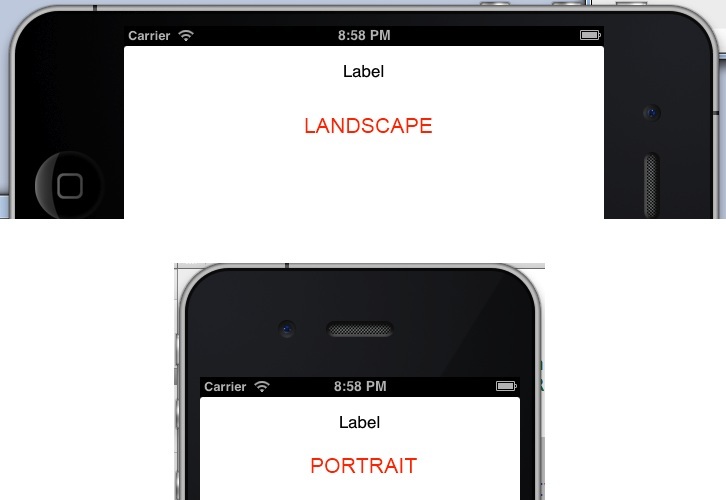 After this is done and you rotate the simulator, you’ll see that the text of the label is changed before the view is rotated. 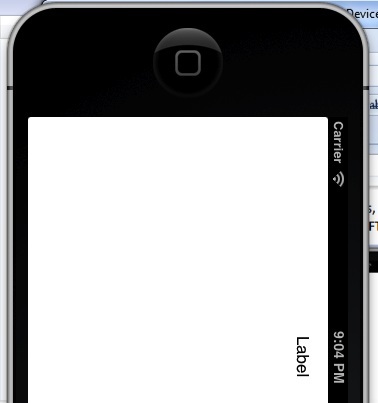 When we first run the app, the label isn’t showing the orientation until after you’ve changed the orientation. We’ll tackle that next. Now when you run your app, you’ll see that the orientation show up as the label right away. You can use this property to get the current orientation at any point in time. Then our view will never rotate. This method of restricting things might be useful if there is some logical reason in your code behind to prevent rotation. You don’t have to implement this method if you don’t want to. If you wanted to allow any orientation though, you could return UIInterfaceOrientationMaskAll. 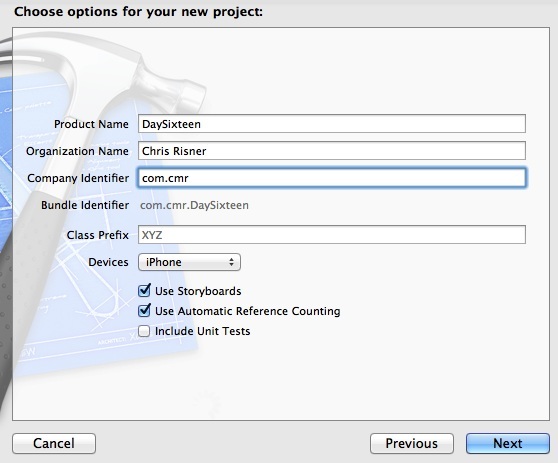 Remember that this will set the supported orientations across the application. if you have some views that need to support an orientation that others won’t, you’ll need to allow them here and then restrict them in the code using the methods described above. Today we looked at several methods of detecting and controlling orientation changes in your iOS applications. As you experiment more with your applications, and others, you’ll see scenarios where preventing an orientation makes sense. For example, many games only run in landscape mode. You can access the finished source code from today here. Thanks for sharing the info, this is exactly what I've been looking for same as Forex Brokers Reviews. , very interesting and worth to read. A block of code is missing from this article. Just after the first paragraph in the section called "Another way to restrict orientation changes", there is a blank area where a block of code should be placed. Thanks Dan. This is fixed now. Thanks for sharing the info, this is exactly what I've been looking for same as Forex Broker Bonus , very interesting and worth to read. For some reason it doesn't work, the label doesn't update text while rotating and the screen rotates even if I put it to "No" in ShouldAutoRotate. When I run the app in the simulator, it works but when I rotate the device - nothing shows. So first view , app shows normal. Rotate and it goes to a blank white screen in the simulator. Same if I rotate the other direction. Any ideas or clues? It's been a little while since I made this walkthrough but my assumption is that the layout isn't set up to work correctly when rotated to landscape. 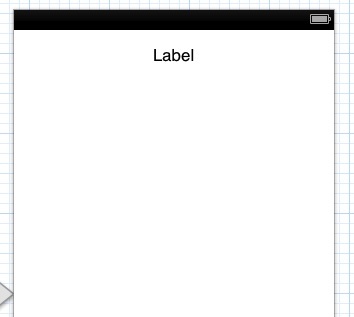 I would take a look at the storyboard and adjust the constraints on the different UI elements.